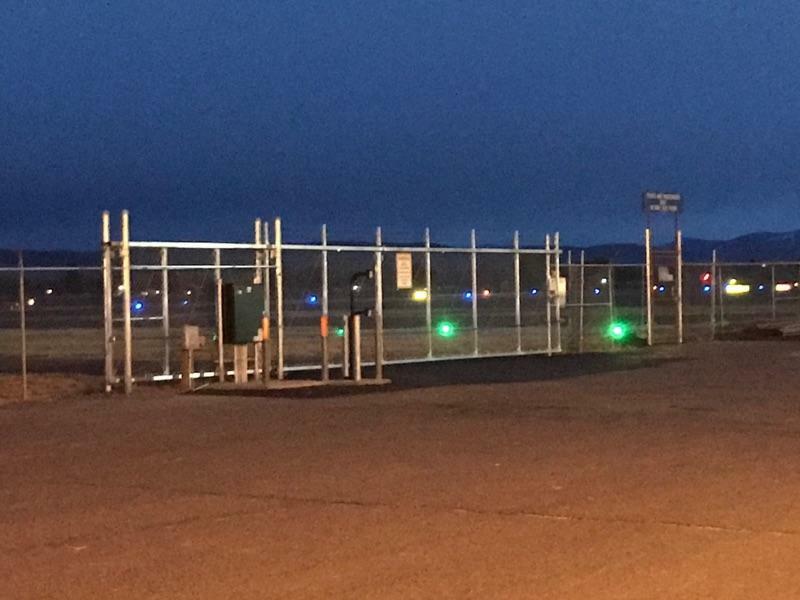 The City of Yakima determined that their airport gates were in serious need of replacement. Thru funding from the FAA and design by HLA Engineering planning was developed and sent out for bid. 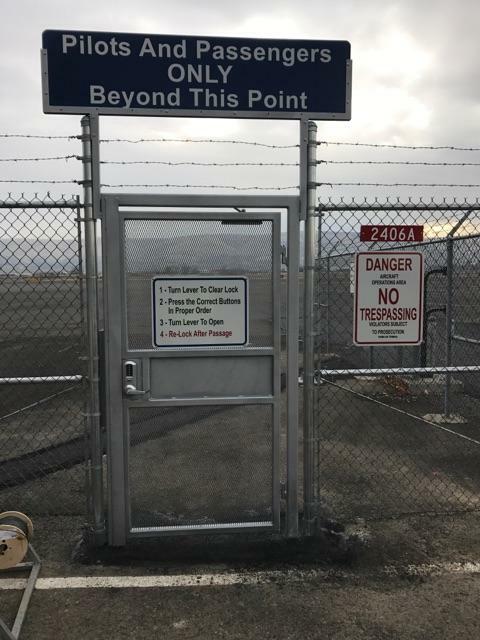 The job consisted of removing and replacing nine automatic cantilever slide gates, two vertical pivot gates and 7 pedestrian walk gates. Since FAA funding was involved, certified payroll and Davis Bacon rates applied. Boise River Fence decided to bid the project as a general contractor and with the low bid of $743,388.10, we were awarded the contract in late August. The original design was scheduled out in 6 phases in order to keep the airport operational while work was taking place in each phase. 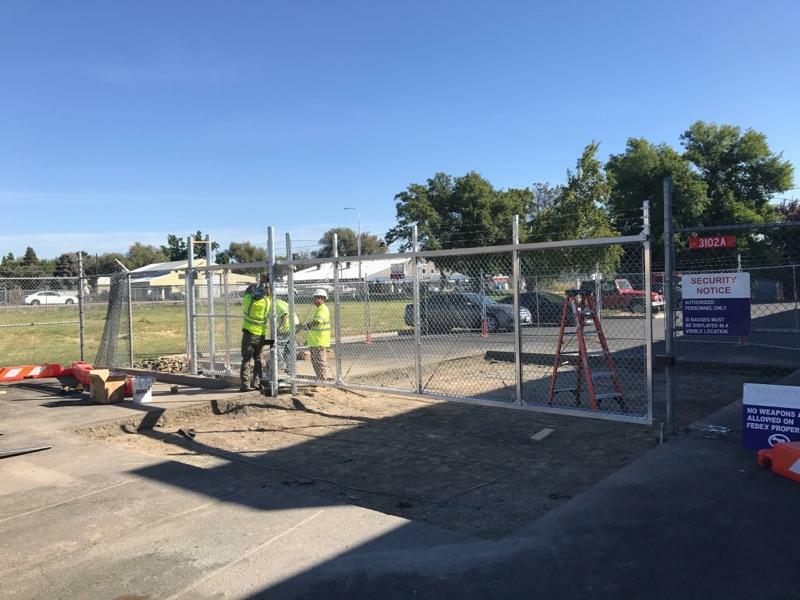 Due to weather concerns and since there was asphalt replacement in the scope of work, Boise River Fence management decided to compress the schedule into just 4 phases. The engineers and airport directors were surprised to hear that we wanted to make the project go even faster than expected. Our main goal was to get the job done before the asphalt batch plants closed for the winter, normally around Thanksgiving. Once the job launched, the immediate need was to provide temporary security fence and traffic barricades. 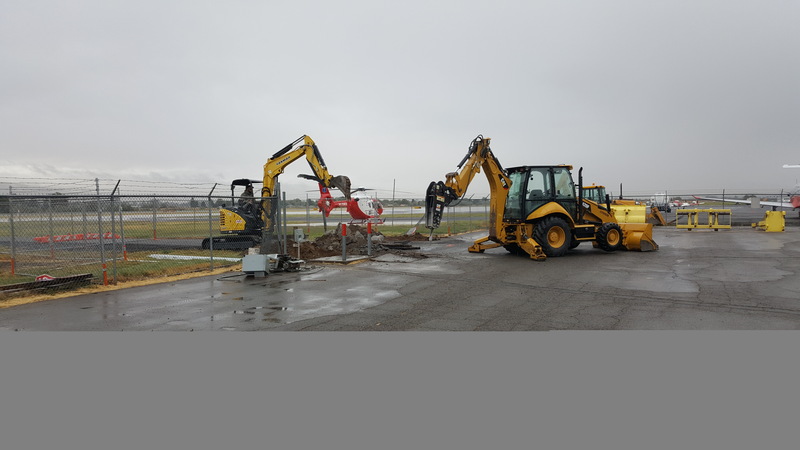 Once the security was in place demolition began, and our crews occasionally found that what appeared to be a simple concrete pad, would be huge chunk of concrete and rebar with footing up to 30” deep, all of which needed to be removed to prepare for the re-install of the new gates. The engineer had specified an aluminum track gate for the slide gates, which were required to be lifted over the 4 support posts and dropped into place. Once this was accomplished, the automation and access control began, with some help from a local electrician. The final step was to call in the paver crew and have them place the asphalt. 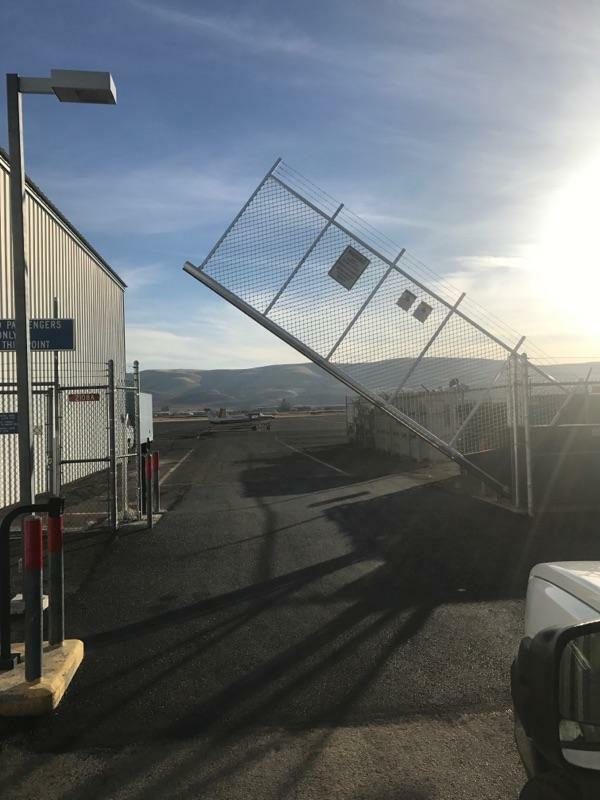 Gate by gate, phase by phase, our crew consistently hit their milestones and on the week before Thanksgiving, the job had reached substantial completion. 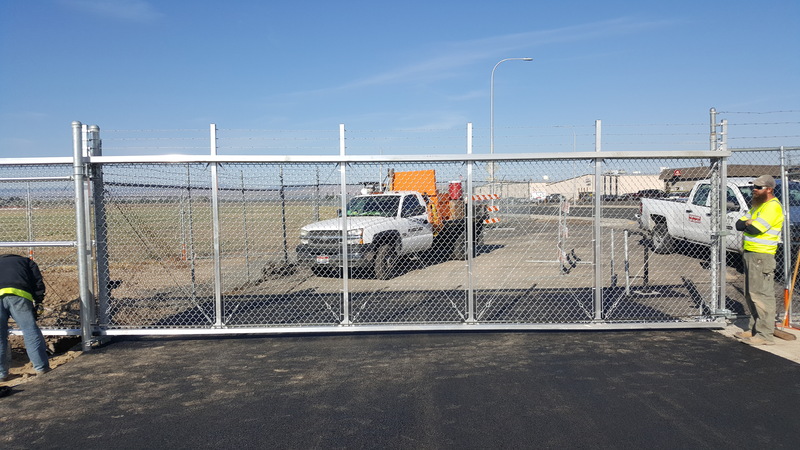 We are very proud of successfully completing this complex project all while providing security, quality and longevity for the City of Yakima Air Terminal.